I do NOT want to face the fact that April is already over! And standing at the longarm — I quilted more quilts this month than I have so far all year! Deadlines were calling! And then I went to the AQS Show in Paducah with my sister. So I’ve added only 3 blocks to my total this month. It’s time for you to report in and let us all know how many blocks you made. Just leave a comment on this post or email me. I’ve discovered that my Contact Us page is not working correctly, so if you tried to use that method to report in recently, I did not receive that information, so everyone, be sure and check your numbers and make sure I have everything updated with your current total. 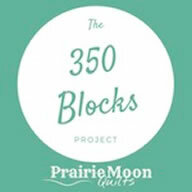 Our new goal for May is to make 46 blocks for a year-to-date total of 149. The prize winner for March is Randy, who already has a total of 149 blocks. She can take it easy this month! Wishing all of us a lot of stitching time in May! Have a great month! I only have 30 blocks to add for the month for a total of 177. I think I missed a few, but I’m not sure. Oh well. This was a steady but not spectacular month: 40 new blocks for a total so far of 197. 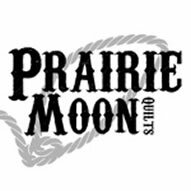 2017 is shaping up to be a good quilting year. I made 134 blocks in April. I sewed a total of 29 blocks. Another month without much progress! Although, I did finish up my Storm at Sea Quilt top! And started to work again on my commissioned scrappy quilt top that needs to be done by Christmas! 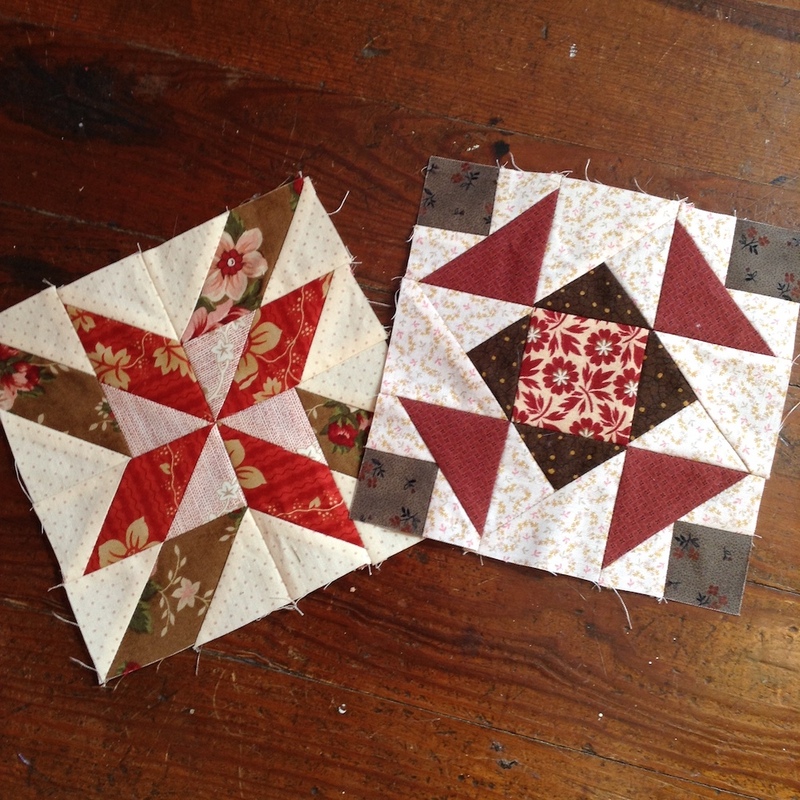 I made 12 blocks in April…..slow month! I got 61 blocks completed in April. Sounds like you were quite busy, and hopefully had lots of fun with the goats and AQS even if not many blocks done. I’ve completed 55 blocks during the month of April. 48 for me – 24 Ritzy Crackers, and 24 QAYG Heartstring blocks. Year to date total of 397 – yay! Yippee I won for March. I was feeling pretty short on blocks this month. But I do write down at the start of the Month what I want to get done and than put the blocks next to the thing if I get it done. Other wise It is like water off a duck. I got 83 done. I just go back form a quilt retreat at the Skylodge in Jackman Maine, a historic huge log cabin in the middle of TRULY no where. Non profits can book week ends for amazing prices. There I free motioned all week end . I finally have my foot in that door!! 83 is my April count. I made no blocks in April. Been quilting daily (hand quilting) on my Westerning Woman quilt, my 100 day challenge project. And for your information, I am using that Guttermann quilting thread that is “supposed” to be good and I hate it. It breaks alot and wonder if anyone else has had this problem or if I just happened to get ahold of a bad batch. I usually use Coats and have never ever had a breakage problem. After over 25 years of quilting (and I really love hand quilting), I have come to realize the choice of quilting thread, needle, and thimble are as personal as what make and model of sewing machine one prefers. I have tried many brands of thread, needles, and thimbles. My personal preferences are Mettler, Piecemaker No.12 Betweens, and Skin Thimble (with the plastic shield). Experimenting with different products is good, it is the only way to find out what’s on the market. After trying out options, if Coasts is what works best for you, stay with it! I managed to make 19 blocks in April. I opted for big blocks so I have 2 quilts in the works. I spent much of the month quilting and binding 4 quilts, so I didn’t make very many blocks – only 15. 42 blocks for me……working on Quilts of Valor. I have been making only small blocks this month…………but lots of them. I have made 164 blocks…….115 of them are drunkard’s path blocks. that should earn me a glass of wine, don’t you think? I made a whopping 20 blocks. I hope May will be better. Oops! I signed up to play along and have spent my time and energy of other things, but have finished 15 blocks in April. Hope to quilt more this month! It sounds like you had a crazy month! 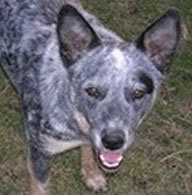 I’m glad to hear that Ranger is hanging in there. I hope you are, too. Quieter month for me. Only got 15 blocks completed but hopefully will have more in May. 35 done in April. I was shooting for a LOT more but didn’t quite make it. I made 45 blocks for April. Have had other things happening, like last minute taxes done, car needing repairs, not feeling well several days, and falling in the truck (I know quite a trick for that). Ranger is so cute. Hard for him as well as you with mom and sister not around anymore. 68 for mw for the month of April. 4 blocks for a lotto on Quilters who care; 52 bow tie blocks for quilted with love in kids prints and a quilt top made out of 8.5 inch HST in Kaffe fabrics. There were 48 so I divided by 4 to get 12 blocks. I am so far behind on blocks that I am supposedly making. 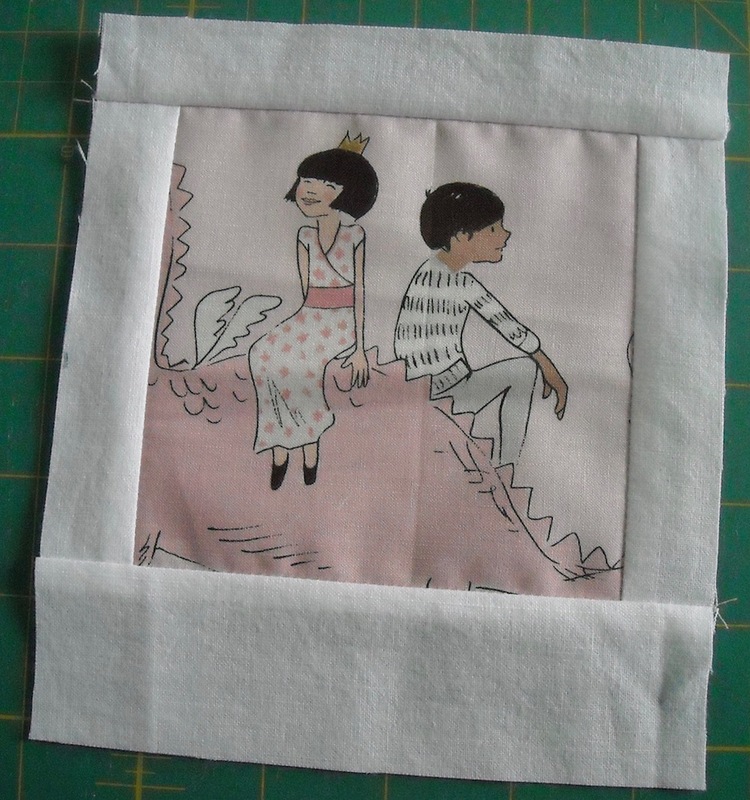 DH is going to be out of town again this week so I am hoping to spend lots of time at my machine. 31 blocks for me for April. I was hoping to finish up some projects (a quilt and a pillow), but that didn’t happen–hopefully in May! I did 20 blocks for April. Not much but my plate is full. At least I got some done. Phew. Now it opening the camp, and getting the garden cleaned up and ready for planting. Your post makes me feel a little better =) I have 18 for the month of April. Total is now 70. I think I’m behind! I see that my block total listed is only 134, which is what I did in January. I used the “contact us” option so apparently didn’t get counted so here is my update: February – 97; March – 380 (was on retreat); April 177 (on another retreat) for a total as of April 30 of 788. Put me down for 58 blocks for April. Thanks! Only 19 blocks for me this month. Maybe I will get some sewing time during May. Very slow month for me. Count 9 blocks for me in April. Total of 409 for the year so far. Well, I know I sewed in April, made a couple of sweet bunnies for grandbabies, but I didn’t record any blocks made. It’s a good thing my total is padded…I’ll have to try to catch up in May! I made 54 blocks in April. I completed one quilt top and made two challenge project. 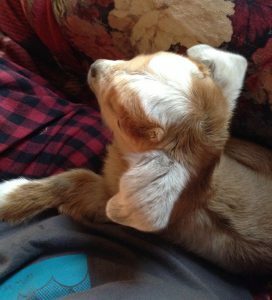 I hope little Ranger is doing well – he sure is cute. April blocks made is 29 I think. I tried to make notes, I may have missed some. At least a few more done. Have a wonderful day! I only got 4 blocks done in April. Spent more time learning EQ and designing blocks and quilts! Congratulations on your Honorable Mention at Paducah for your quilting of Victoria’s quilt called “Negative Space, Positive Attitude”. It was beautiful! Oh my goodness, that is right up there–the 4th best quilt in its division! This is a BIG deal! We are so proud of you!!! It was fun to see that “Negative Space, Positive Attitude”, “Mr. Swirly Bones”, and “Hazel’s Diary” hanging at the show. Not to mention the other 12 or more that you quilted for Victoria in her special display on “Double Wedding Ring Quilts” that hung in the Dome/Bubble. That 30′ quilt was impressive!! Did I miss any others? 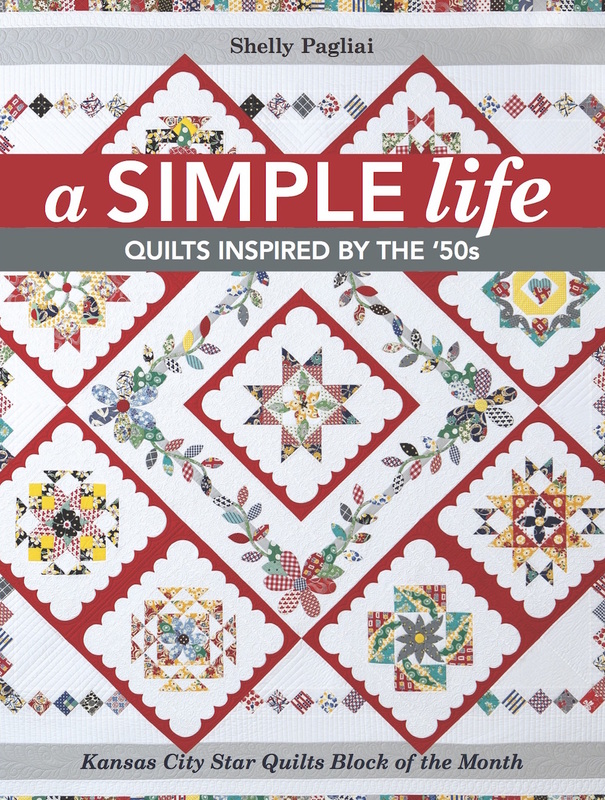 No wonder you’ve been swamped–you are quilting some spectacular quilts! April block count is 15. I’m pushing to finish two birthday quilts (grandchildren) to clear the table to piece two more birthday quilts and one for ME. Only 7 blocks for me this month. 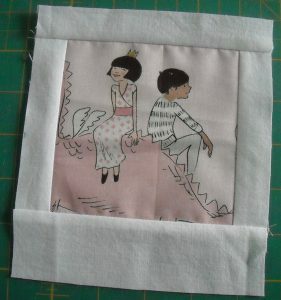 It seems when you are busy setting blocks together and doing machine quilting that you don’t have time to make blocks. However, I am back to making blocks for May count. Camping season is upon us . . . which means I need to start making up block kits to work on while travelling or I won’t have anything to add! I made 12 blocks in April, my total 101! I think I only completed 1 block for April, but I had several quilt finishes this month. I was traveling a lot since mid-May, but I still managed to finish 33 blocks! Oops, I meant traveling a lot since mid-April! So sorry I am so late with this, you know what I’ve been up to. I made 16 nine patches for a group charity quilt and 90 , but will only count as 45 due to simplicity, blocks for a May challenge. So I’m counting a total of 61 for the month.